The Pentagon and the anti-ISIS coalition said they are aware of reports from America’s Kurdish allies in Syria that at least two American citizens who were allegedly fighting with ISIS have been captured. “We are aware of open source reports of reportedly American citizens currently in custody who were believed to be fighting for ISIS. However, we are unable to confirm this information at this time. The incident is under investigation,” Commander Sean Robertson, a Pentagon spokesman, told ABC News. The Washington-backed Syrian Democratic Forces announced the capture in a statement on Sunday, saying that two Americans, along with three other foreign nationals, were taken in the city of Hajeen in eastern Syria near the last ISIS stronghold of Deir ez-Zor. 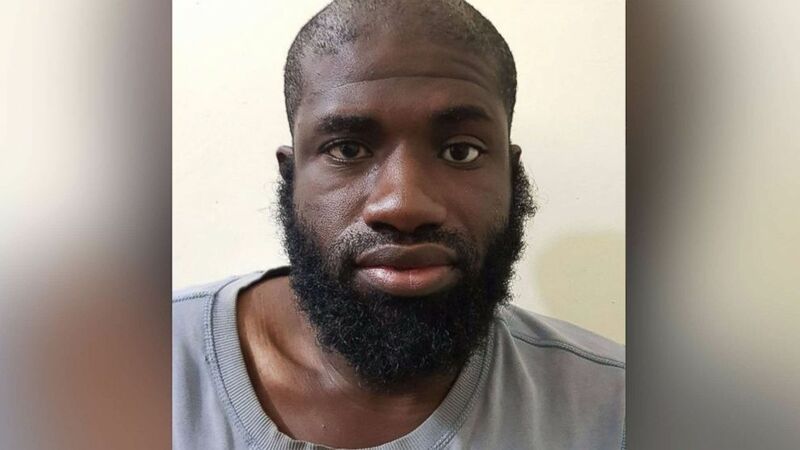 One of the alleged American captives was identified by the SDF as Warren Christopher Clark. According to the Houston Chronicle, Clark is originally from Houston and served as a substitute teacher in the Fort Bend Independent School District in Sugar Land, Texas. Using the nom de guerre Abu Muhammad al-Ameriki, Clark allegedly sent a letter and a resume to the Islamic State offering his services as an English teacher in the caliphate. The documents were recovered in a house in Mosul, Iraq, by a group of anti-terror investigators. Copies were given to ABC News by Seamus Hughes, deputy director of the program on extremism at George Washington University and a former staffer at the National Counterterrorism Center. The letter purportedly written by Clark opened with a request for a teaching position at the University of Mosul, suggesting it would be a “great way of continuing my career.” The resume attached to the letter claimed that Clark was born in 1984 and earned a B.S. in political science from the University of Houston in 2007. The resume also indicated that Clark held teaching positions in Turkey and Saudi Arabia, in addition to the substitute teaching job in Sugar Land. In a lawfare blog post, Hughes wrote that Clark was a convert to Islam who became radicalized and was known to friends in Texas as a fervent Islamic State supporter. One acquaintance said he had assumed that Clark was an FBI informant because “no one is that open about liking terrorism,” according to Hughes. Very little is known about the other alleged American ISIS member taken along with Clark, other than he was named by captors as 35 year-old Zaid Abed al-Hamid from the United States. However, it is not entirely clear if al-Hamid is even an American citizen. Simon Cottee, a senior lecturer in criminology at the University of Kent, who is writing a book about Islamic State fundamentalists from Trinidad, said he came across al-Hamid’s name while investigating ISIS fighters from the Caribbean island nation. Cottee said official estimates put the number of ISIS fighters from Trinidad and Tobago at 130, although he believes the real number is much higher. Cottee said al-Hamid was arrested in 2011 on suspicion of conspiring to kill then Prime Minister Kamla Persad-Bissessar along with 15 other men, but they were never charged due to lack of evidence. “Interestingly, of the 16 suspects, four ended up in Syria and Iraq. Another suspect among the 16 was captured in Venezuela in 2014 trying to leave for Syria,” Cottee said. Al-Hamid and Clark were both reportedly captured during heavy fighting with the last significant group of ISIS militants in northern Syria. Only four other Americans are known to have been captured on the battlefield in Iraq and Syria, according to Hughes.